When WIRED magazine christened the Canadian media guru Marshall McLuhan its “patron saint” on the original masthead in 1992, it seemed like a fitting honor. After all, the new tech culture magazine was the self-proclaimed authority on where the world was headed in the digital age. So tagging McLuhan, the late English professor turned media philosopher, added some prophetic pomp. His popular slogans like “the medium is the message” sounded like Zen koans written by an ad man, perfect for a Silicon Valley culture fixated on spreading the gospel of techno-utopianism. Here is something you will not find in WIRED magazine: “In Jesus Christ, there is no distance or separation between the medium and the message: it is the one case where we can say that the medium and the message are fully one and the same.” A theological take on “the medium is the message.” This is also McLuhan. Whether McLuhan coined his famous phrase while looking at a television or a crucifix is of little importance. What is interesting is how McLuhan applied his deeply Catholic imagination to understanding media. The rangy professor with a penchant for the prophetic was running on a different operating system than the secular elites of Silicon Valley. Make me a sewer of their clique. Perform my office of Katharsis. 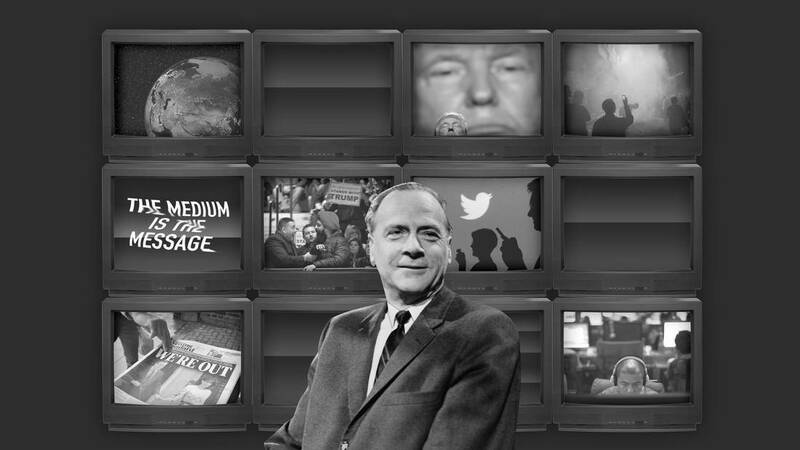 McLuhan hovered at a vantage point from which he could see clearly the naive romanticism and insularity of the media “professionals” who leaned on his work for justification. The 1960’s were not a particularly friendly time for Catholic intellectuals of any stripe who sought to integrate the Church’s intellectual tradition with that of the social sciences. The academic tide had turned toward a more secular and critical approach to the disciplines. In his public appearances, McLuhan often veiled his religious commitments so as not to be outed. In a famous debate with the novelist Norman Mailer on Canadian public television, McLuhan tried to explain how the technology of the satellite had turned Nature into content. No longer something external and out of our control, Nature was now a work of art, visible in its totality from the outside and above, completely programmable. M. McLuhan, E. McLuhan, J. Szlarek, The Medium and the Light: Reflections on Religion (Eugene, OR: Wipf & Stock, 2010), 102. J. Joyce, James Joyce: The Poems in Verse and Prose (London: Kyle Cathie Limited, 1996), 42. M. McLuhan, E. McLuhan, J. Szlarek, The Medium and the Light, op. cit., 72. Coste, review: M. McLuhan, Autre homme, autre chrétien à l’âge électronique (Book Review), Bulletin De Littérature Ecclésiastique (1980): 81, 233. M. McLuhan, E. McLuhan, J. Szlarek, The Medium and the Light, op. cit., 50. See: https://inscriptorium.wordpress.com/2011/06/08/did-gutberg-help-to-wed-the-estab-and-the-gospel/, accessed June 28, 2018. Read the rest of this essay at https://goo.gl/Tf8hmL. D. de Kerckhove, Passion and Precision: The Faith of Marshall McLuhan (1982) at https://goo.gl/Uk9xJ3. R.J. De Souza. Marshall McLuhan and the Divine Message (2011) at https://goo.gl/yLJpN1. St. Basil’s Church, built in 1856, is the founding church of the Congregation of St. 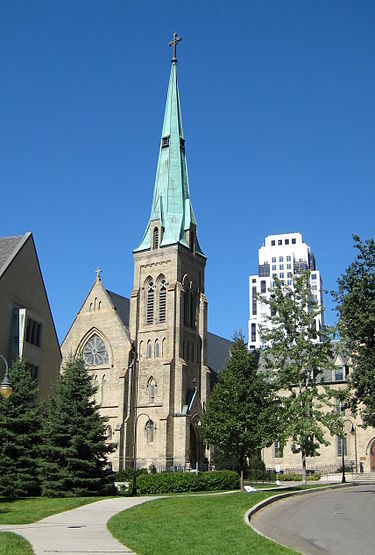 Basil in Toronto, Ontario, Canada, the college church of St. Michael’s College, Toronto, and a parish church serving a large local congregation. Marshall McLuhan went to mass there daily during his years at St Mike’s as the college is known as by locals. A techno-heretic- a laughable designation. Given McLuhan’s method of the put on what makes the writer think that his religious views were framed differently? Lucifer in electricity! Really!!! Well, the reading of this digital content is electrifying. However, is there enough Lucifer in the message for the lightbulb to shine?